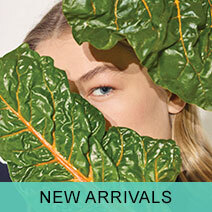 Whether you’re one of many discerning Paul Smith fans or not, the casual characteristics and sublime quality behind the iconic British fashion house’s astute range of t-shirt’s are near enough unmissable in any man’s wardrobe. The latest offering from the Paul Smith Jeans label is no exception, with styles that carry on the tradition of bold Paul Smith inspired prints on simple and effective colours, giving you a year round style staple that promises to retain its desirability season upon season. 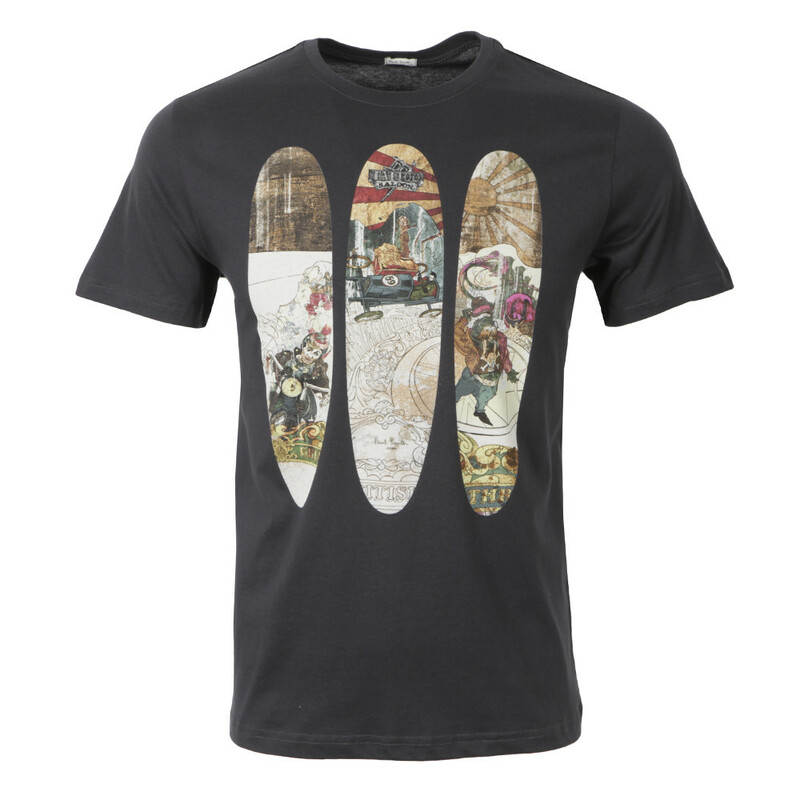 Starting off this season’s styles is the Paul Smith Jeans Surfboard T-Shirt. 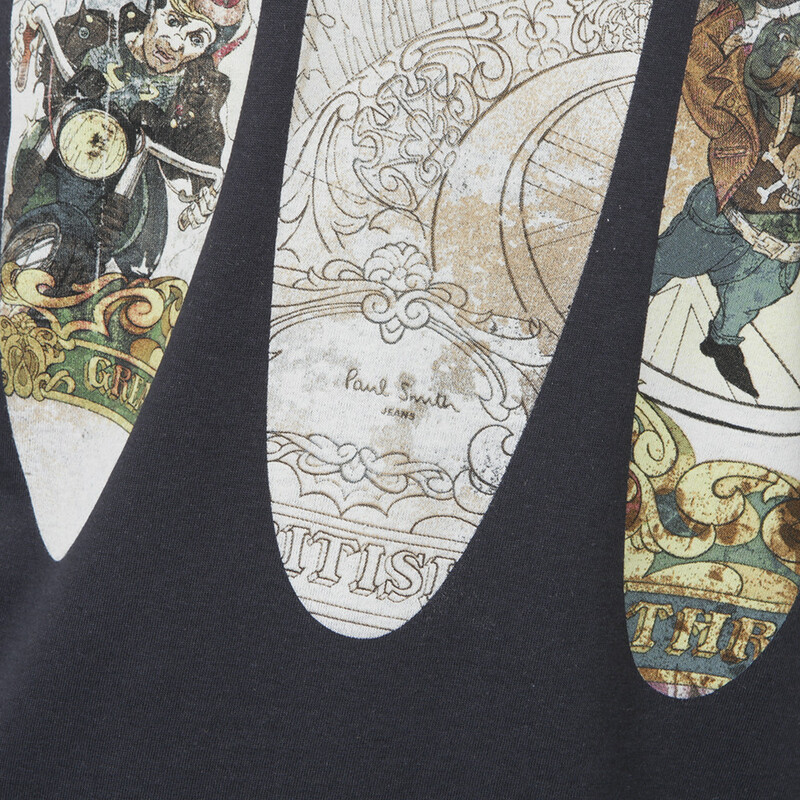 Available in classic white or black, this tee features a trio of surfboard shaped cut out prints across the chest, which house detailed vintage inspired imagery. 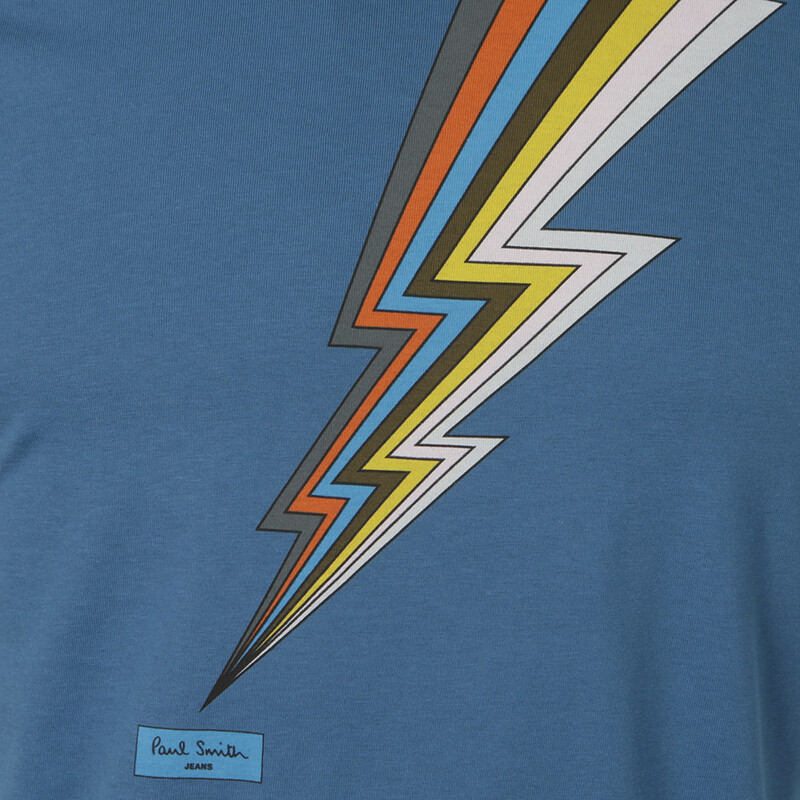 Next up, the Paul Smith Jeans Regular Lightning T-Shirt comes in eye catching tones of blue and green, featuring an eye catching lightning bolt print on the chest. 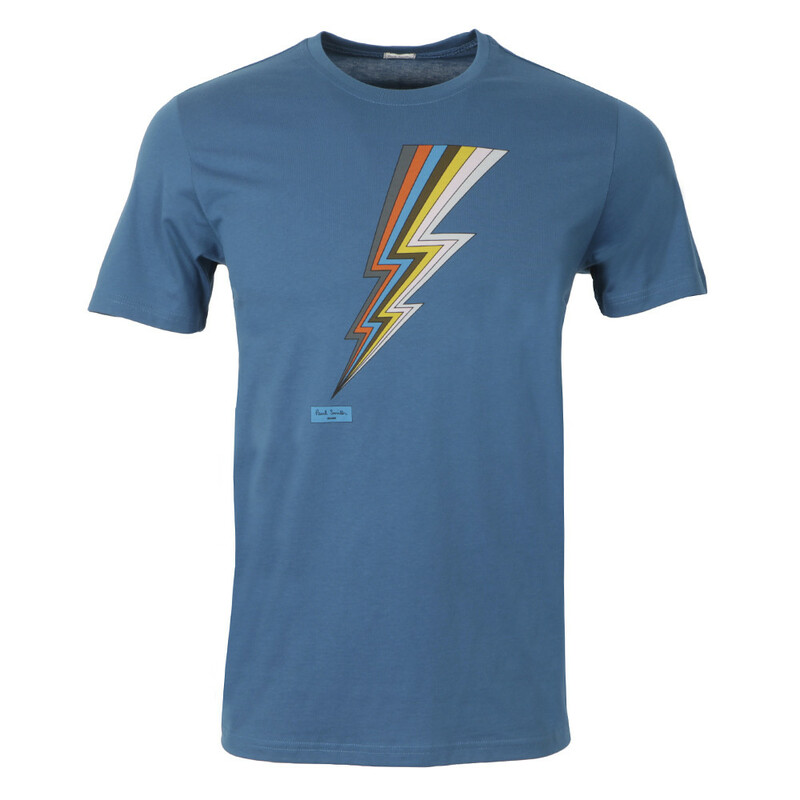 Giving connotations of the world famous Paul Smith stripes, the lightning bolt carries the multicoloured ambitions that have made the Paul Smith stripe synonymous with the Nottingham born designer. Finished with an offset and minute Paul Smith Jeans box logo, this tee is the perfect go to piece for early the new year- simple to wear, layer it up for warmth or wear it alone with denim for a design led look.